4 Beds 2 Baths 2,171 Sq. 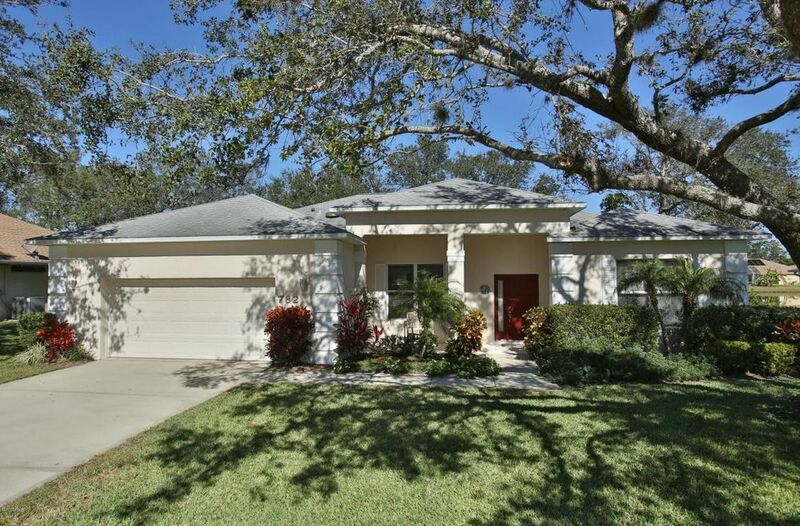 ft.
SPLISH SPLASH - Summer is going to be hot... Don't OVERLOOK this great pool home! This is a beautiful Johnson built home on a manicured lake front lot with solar heated screened enclosed pool area highlighted with pavered stone decking! Relaxing front porch! Open, bright and light floorplan! Split bedroom plan! High ceilings thruout house! Remodeled kitchen with 42 inch wood cabinets! Soft close drawers! Pull outs! Granite counters! Convection oven! Counter depth fridge! Big 12x12 eat-in breakfast area overlooking pool and lake! Generous use of rubbed laminate & tile flooring! Master suite with top drawer fitted closets! Upgraded, remodeled 2nd bath! Large guest bedrooms! 2012 a/c system! Extended size garage! Lots of storage cabinets!